Whoever coined the phrase, “Time waits for no man”, knew exactly what they were talking about. It’s a brutal reality. Everything that needs to be done must be scheduled into the diary lest the “Well, I’ll just see how I feel in the morning” monster takes over the steering wheel. Mackerel: Mackerel is a travel site that we launched on 26 February 2015. We’ve churned out a story a week since then, not to mention daily social media posts. Within the space of two months, we had a global readership of more than 5,000. 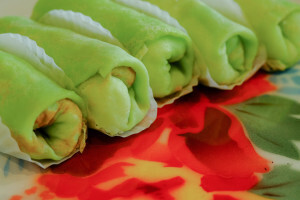 Visit Mackerel here. 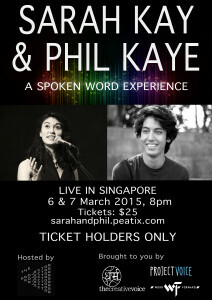 Sarah Kay and Phil Kaye ‘live’ in Singapore: Spoken word poetry is one of our passions and we were chuffed to sell out two nights of the stuff at The Projector, no less. Opening for the main acts, Sarah and Phil, were a hand-picked selection of Singapore’s stand-out spoken word poets including Marc Nair, Deborah Emmanuel, Victoria Lim and Stephanie Dogfoot. 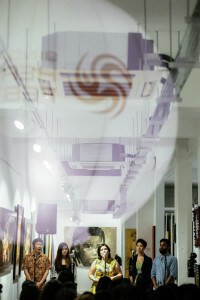 We curated and managed the Tiong Bahru Night Programming of the Singapore HeritageFest 2015. 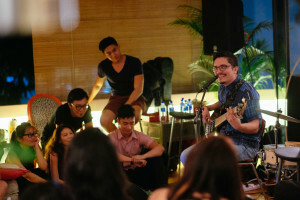 It was two nights of music, spoken word poetry , Malay joget and Nonya kueh-making. And so here we are. We have several books to write and copy-edit, festivals to attend and perform at, and more Mackerel-ing to do. No rest for the wicked. Whoever coined that was pretty spot-on, too. Tally-ho!